building up her handmade Staffordshire candle labels. Having spent the past five years helping her clients to find more balance and harmony within themselves using natural approaches and products, Alisa decided it was time to take this a step further. “I wanted my clients to be able to fully relax without the worry of regular candle toxins polluting the air around them, so I started to make my very own soy wax candles to burn in my therapy room. Quite often clients would walk in and say, ‘wow this room smells amazing”. Quickly identifying a true business opportunity, Alisa began to sell her handmade soy wax candles to clients who started recommending their distinctive smells to friends and family. 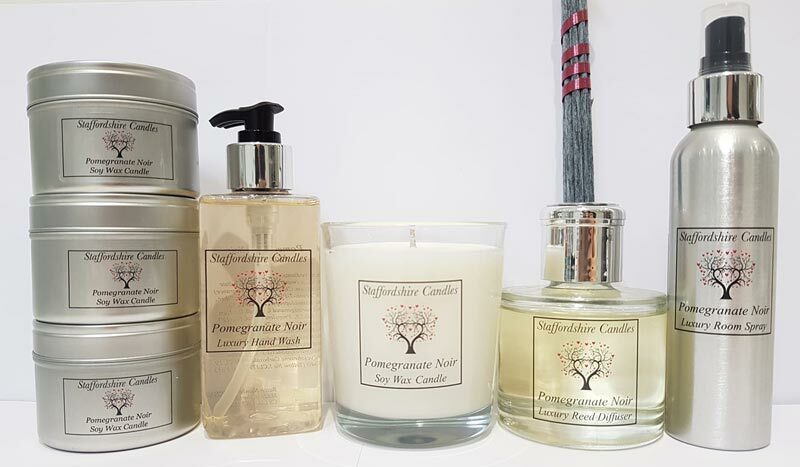 Staffordshire Candles grew quickly and organically, and it wasn’t long before Alisa started introducing different sized candles to her range, along with melts, reed diffusers and room sprays. As the business started to grow, it was time for Alisa to find the perfect logo. She approached a local design company and came up with a design brief focussed around two key ideas. The first was that her products were natural and so she wanted some sort of tree of life to be the main feature of her logo, the second was the inclusion of hearts, to reflect that truly handmade feel that her customers loved so much. Once Alisa had a logo which reflected her business, she approached Avery WePrint to find the perfect labels for her products. Alisa told us that she found the process faultless and that she was pleased to find that not only do the colours in her logo really stand out on her label, but the quality is exactly what she had in mind too. 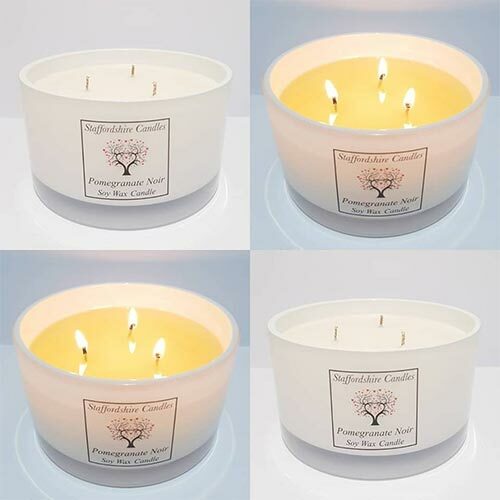 18 months after making her very first soy wax candle, Alisa’s business is still growing day by day, and her range now includes a wide variety of fragrances and products, along with personalised and Christmas candles. There are, of course, a couple of customer favourites including Pomegranate Noir and Flower Bomb. At the minute, the business mainly thrives from Facebook, ebay and referrals. However, the next step for Alisa and Staffordshire Candles is to create a beautifully bespoke website that reflects the hours that have gone into creating a product so wonderfully handmade. If you’d like to find out more about Alisa’s candles, you can find her on Facebook as @StaffordshireCandles or you can search her ebay page, staffordshirecandles.